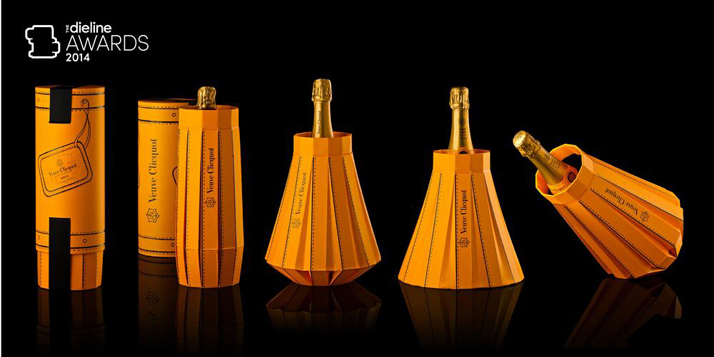 The panel of judges of The Dieline Awards 2014 have awarded R'Pure Studio's Fashionably CLICQUOT 3rd Place in the Wine & Champagne category. 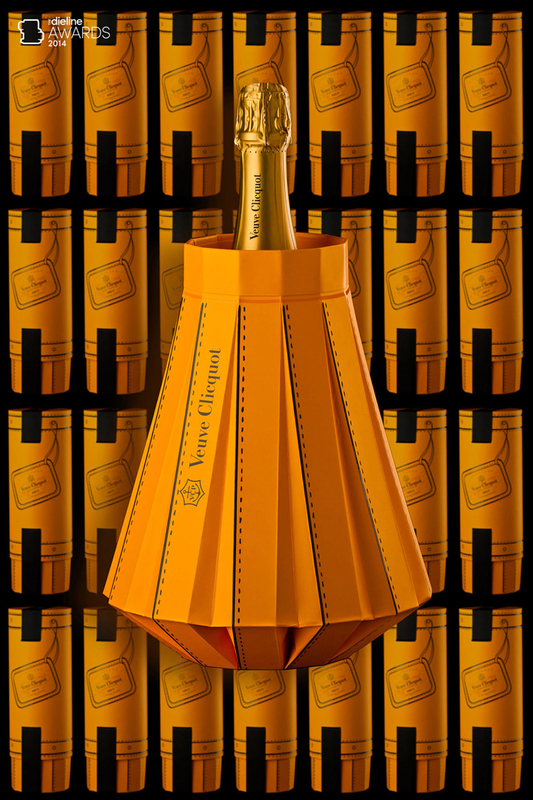 "R'Pure Studio invented the Fashionably Clicquot theme for which designers created this very special packaging on a pop, fashion and joyful tone. 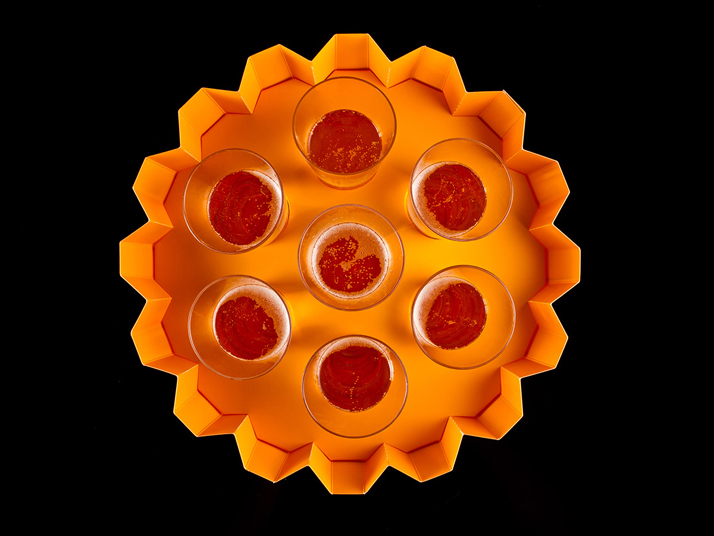 In one pop snap, the packaging becomes an ice bucket that adorns like a lovely dress the iconic bottle of the brand. 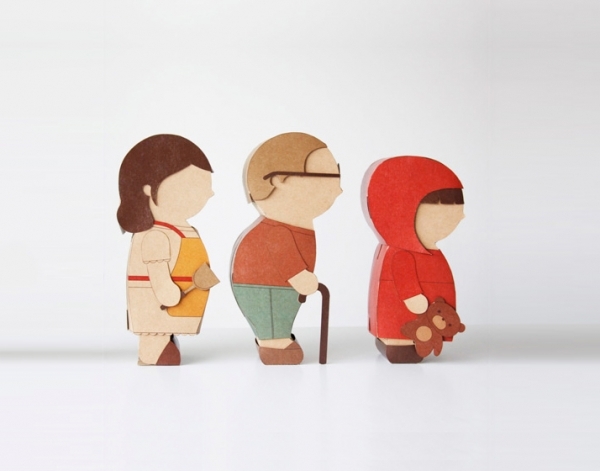 Besides, the packaging is functional and reusable. 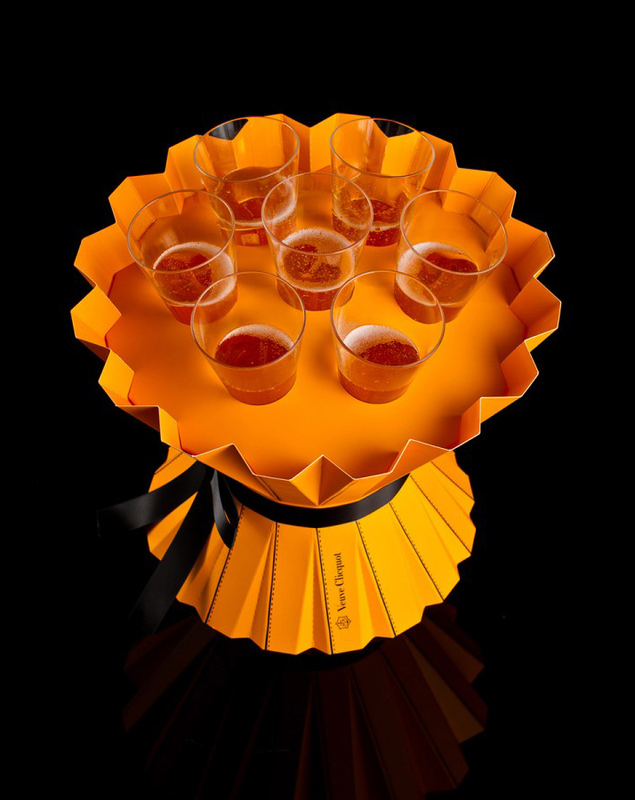 After the suits me campaigne, R'Pure Studio gives once more with feeling its innovative and smart approach to renew the packaging universe and definitely set Clicquot on the cutting edge of creativity and elegance."